If you love a good laugh and have a somewhat lazy side to your personality (don’t we all…) there is a quirky anime titled Himouto! Umaru-chan that will surely cater to your needs – much like the series protagonist does for his younger sister with a lack of motivation. From the first glance and through they eyes of those around her, Umaru Doma is the “it girl” to her classmates. Umaru is the epitome of kindness, natural beauty, great fashion sense and even has the brains to back it up as the total package. There isn’t a single person at her school that doesn’t want to be her or be with her, so Umaru has quite a reputation to uphold to her peers. However, there is something different about Umaru that others don’t quite know about just yet, something her brother knows all too well. This other side to Umaru occurs once she steps in the confines of her own home with her older brother Taihei. When Umaru gets home, her outfit changes as does everything about the high school girl. Umaru places her hamster cloak over her and the entire demeanor changes as Umaru’s voice becomes shrill, she shrinks in size and is prepared to spend all of her time as an otaku who only hopes to play video games, watch television, read manga and consume unhealthy amounts of junk food (if that doesn’t sound like a good life, I don’t know what is.) 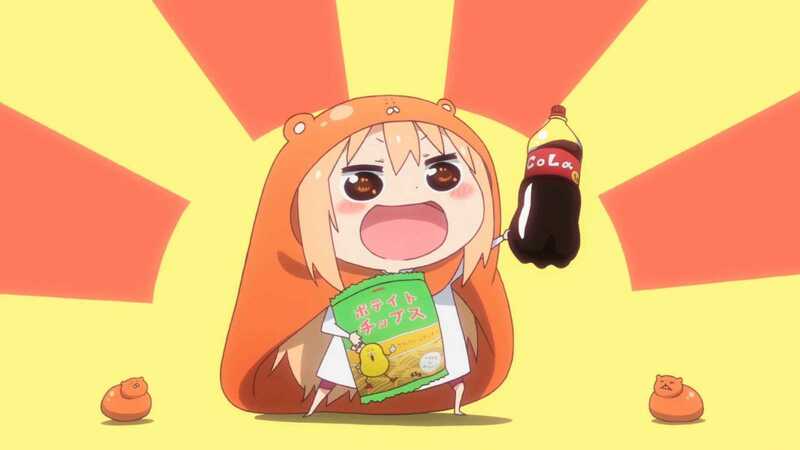 With two very different sides to Umaru, Himouto Umaru-chan is an anime that promises peculiar hilarity for such differing traits to this beloved persona she has created for herself. The otaku side to Umaru is additionally loud, obnoxious and very demanding – enlisting the aid of her brother with just about everything. Her brother is the more consistent sibling, proving himself as a hard worker who takes care of his sibling despite her mood swings. He often tries to better Umaru to make her a functioning adult but her intensity makes things complicated to enforce (he typically gives in to her wants/needs because of his soft spot for Umaru.) The two have a humorous sibling repartee that carries the show, but also manages to showcase a dynamic that is becoming all to common with youth of today immersing themselves into their own comfort zone of extravagant media. The show is very much an episodic story (with the main overarching plot being Umaru’s secretive ways) giving different chapters that tell her unusual story. In one episode, Umaru is binge watching horror films with references to Ju-On and other pop-culture scares. Whether it has to do with manga, movies, or video games, the otaku culture the series recreates is a fully entertaining plot with plenty of laughs to offer the viewers – as long as you have a sense of humor or can relate to Umaru. 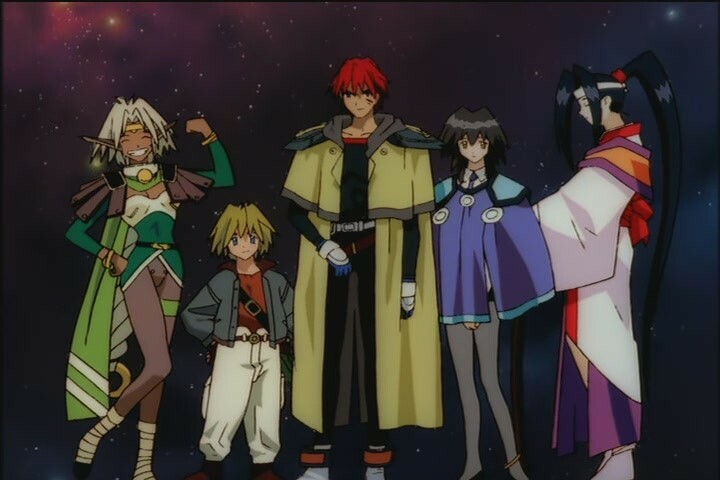 The episodic nature of the anime series fits the genre perfectly and from beginning to end, using each episode to tell contained stories to further introduce you to this odd sibling pairing and their opposing work ethic. Sentai Filmworks doesn’t always choose to dub their series, but they made the wise decision to dub Himouto! Umaru-chan in English for this new release. The English voice cast plays a major part in the recurring energy of the lighthearted anime series, with Umaru holding a majority of the weight. Her transition between the coy popular girl to the obnoxious otaku is as if two different people play her entirely – something I found additionally impressive with the new English production. Animation quality in Himouto! Umaru-chan sticks to today’s passable animation where the biggest pros come from those changes we see Umaru go through. 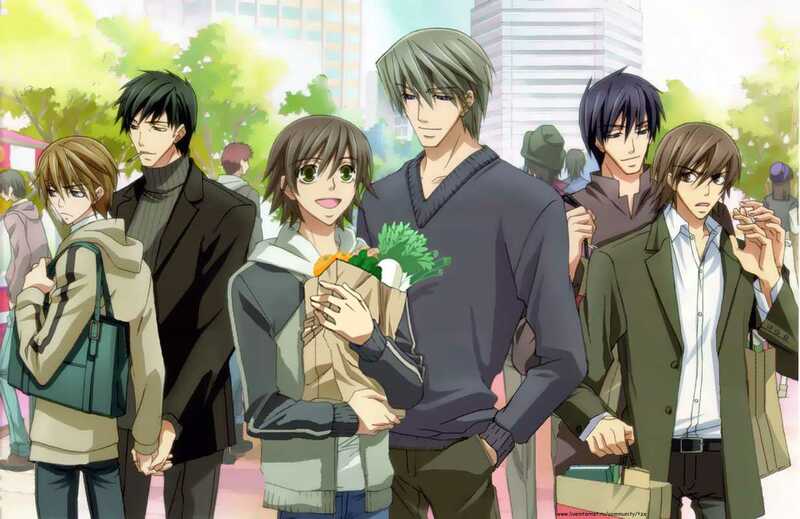 The anime isn’t necessarily the most original concept, but it offers a fun take on life-centric stories that will surely find a way to make you laugh about otaku culture. – I sincerely felt bad for Taihei, but I also think he enjoys the quirks of his sister. – Umaru is two characters in one, both semi-likable and both semi-annoying.